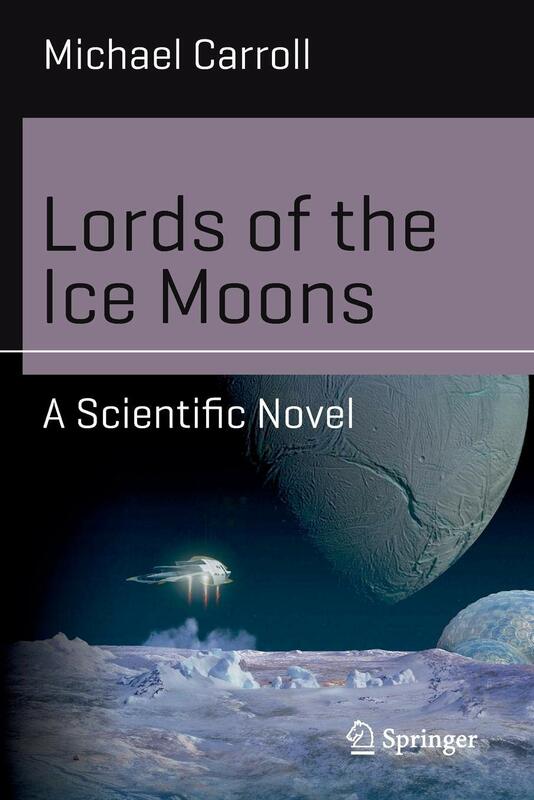 This is the third of Michael Carroll's novels I've read from the 'Science and Fiction' series (the others were On the Shores of Titan's Farthest Sea and Europa's Lost Expedition), and it's undoubtedly the best of the three. An asteroid collision has left Earth's civilisation teetering on the brink and in dire need of new energy sources as both solar and wind collapse in the after-effects of the impact. 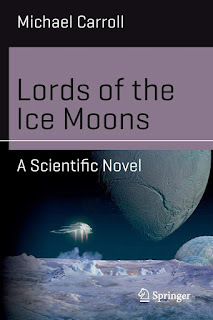 Engineer Gwen Baré, who lived briefly on Enceladus as a child and has terrible memories of the place, has to return to the icy moon to try to recover fusion and bacterial generators - but a failure on the ship taking her out there is only the start of the complications she must deal with. Carroll makes use of a few short flashback chapters to fill in background, along with a precursory story of the Victorian Princess Royal meeting Joseph Merrick (the Elephant Man), for reasons that do eventually become clear, though it's initially puzzling. Not only does Carroll explore future energy requirements (and the importance of energy to our civilisation), but encourages us to challenge assumptions when Gwen unexpectedly encounters genetically modified intelligent organisms. So far, so good. The spanner in the works, is that this book appears to have had very little editorial input. There are some issues that an editor should have challenged, including a (female) deus ex machina, unconvincing timescales for technological development and writing that cries out for a polish. The latter is particularly obvious in the opening section, where it's difficult to get engaged with the characters. Everything moves up a satisfactory notch once Gwen gets to Enceladus, but there is still ample scope for editing. As an example, at one point Gwen's token of a companion (he contributes very little apart from comedy Italiian-speaking-English-badly) is observing an important character he hasn't seen before. We should be seeing this person through his eyes. But we read 'Parenthetical creases bracketed her mouth, as if everything she was about to say would begin with in other words.' I'm sorry, no one has ever looked at someone else and thought that - this is a classic example where an editor's red pen should have been wielded. I could be wrong about the lack of editorial input, but the fact that on page 25 we read 'Her disciplined military face began to soften with enthusiasm.' then two sentences later '... she said, her disciplined military face softening with enthusiasm.' suggests to me that editing has been sparse. Some typos always slip through, but that's a pretty big slip. If it weren't for the editing issues I'd give this four stars - it's not the author's fault, but the publisher's, I'm afraid. But it's a book that remains worth reading for its ideas, even if the final execution is not all that it could have been.